Was there any evidence to document a financial motive? Yes, just three days before his death, Bradstreet’s research facility had been raided by U.S. government agents to shut down his research and halt his treatment of patients. The warrant that describes the items to be seized indicates a motive to protect pharmaceutical dominance and suppress natural cures. Indeed, but what if I told you there was another holistic doctor, Dr. Nicholas J. Gonzalez, known for helping actress Suzanne Sommers overcome her cancer, who died unexpectedly just a month later. Gonzalez had been in excellent health and his sudden collapse was apparently “cardiac related,” but a subsequent autopsy showed no evidence of this. All right, two could still be coincidence. What was he working on? Dr. Gonzalez focused a lot on holistic alternatives to radiation and on exposing the dangers and destructive history of the more than 100 chemotherapy drugs, revealing that they were developed from poisonous nerve gas. Here is an interview filmed shortly before his death where he emphasizes the importance of patients believing in whatever treatment they choose. But we don’t know what really happened with either of these two doctors. That’s pretty thin evidence claiming any sort of campaign against holistic doctors. Dr. Bruce Hedendal and Dr. Baron Holt found dead on the East coast of Florida. Dr. Hedendal died in his car and Dr. Holt’s cause of death has yet to be officially determined. Dr. Patrick Fitzpatrick, MD, goes missing without a trace. His truck and trailer were found on the side of the road. Lisa Riley, Doctor of Osteopathy, found in her home with a gunshot wound to her head. Dr. Ron Schwartz found murdered by a gunshot wound to the chest in his home on the East Coast of Florida. Dr. Abdul-Karim, holistic dentist. Found dead on the side of the road at 10pm EST. Dr. Jeffery Whiteside is found dead in Door County with a .22 caliber close to his body. Osteopath Dr. Mary Rene Bovier, found stabbed in her home in Sharon, Pennsylvania. Dr. Mitch Gaynor is found dead outside his country home outside of Manhattan where he practiced. The local sheriff quickly calls it a suicide. Dr. Marie Paas is found dead of an alleged suicide. Dr. Jerome Block “jumped” to his death from the Central Park West Apartments. Almost all of them were operating in ways that undermined traditional pharmaceutical-based treatments. I can understand the risk of exposing that certain vaccines seem to be causing autism, but what is this cancer treatment they were working with? “GcMAF and/or oral Colostrum MAF macrophage activation therapy is indicated in the treatment of any diseases where there is immune dysfunction or where the immune system is compromised,” explains the website of a clinic out of Japan that sells an oral form of GcMAF. What is this GcMAF useful for? GcMAF is also showing itself to be effective for treating autism. I personally know individuals who have been dramatically helped by taking GcMAF. Marco Ruggerio delivered a paper at the AutismOne conference in May of 2015 — just before these murders started. Over the summer, patients who were using it had their supplies cut off from their original source in Switzerland where the company was being harassed and threatened. Subsequent shipments from another country were intercepted at the U.S. border, though eventually allowed through. Authorities in the UK have also been confiscating this beneficial compound. Here is the documentation for a patent involving GcMAF, held by Japanese researcher, Nobuto Yamamoto. 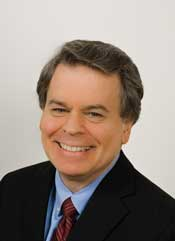 Dr. Robert O. Young, holistic practitioner and author of the pH Miracles books, now says he is wearing a body camera. Others have hired bodyguards. Some continue with business as usual. Some have stopped recommending GcMAF to patients out of fear for their lives. This, of course, is most likely the secondary reason for assassinations of holistic doctors — to intimidate others into stopping their alternative practices, their purchase of natural remedies and their speaking out against the traditional cancer sickness industry that banks on the continuing wave of new cases. It is a sad irony of our current upside-down Orwellian police state that some of the families of the victims have tried, without success, to get the FBI to do deeper investigations. Are you claiming these deaths are in fact part of some kind of CONSPIRACY? Critical thinking requires each of us to assess if there are common threads that indicate a hidden agenda behind this violence. I believe the conspiratorial aspects of this suppression go even deeper. 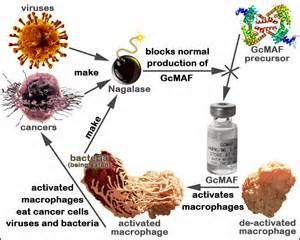 One of the things that GcMAF does is kill a protein made by all cancer cells called nagalase, which is excreted by cancer cells to disarm the human immune system. Nagalase causes immunodeficiency. It seems that most of the doctors who recently died mysterious deaths were connected to treatment practices that employed GcMAF to defeat the effects of nagalase and successfully boost the immune system’s ability to fight certain diseases. Here is a video that suggests that nagalase is intentionally put into vaccines to weaken the immune system. 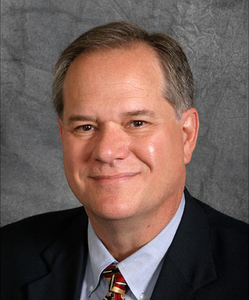 Dr. Bradstreet found that autistic children tended to have a highly elevated level of nagalase in their blood. He claimed to have tested over 400 autistic children for the viral marker nagalase, and found that close to 80% of them had significantly elevated levels. This would make sense as part of a dumbing down and depopulation agenda as described in THRIVE (at 1:33:55). Bradstreet treated 1,100 patients with GcMAF, with an 85% response rate. As contrary as it is to how they are promoted, vaccines have been proven to be an ideal mode of transmission for covert purposes, including spreading clandestine sterilization and fatal illness. The World Health Organization, UNICEF, and the U.S. Centers for Disease Control have been caught over 30 times covertly attempting to sterilize the birth age girls and women of various populations in Africa, Mexico, South America and the Philippines. Recently in the Mexican town of La Pimienta, 53 children were vaccinated for tuberculosis, rotavirus and hepatitis B — the same strains targeted by U.S. vaccines for children. 75% of the town’s children ended up in the hospital or dead. There has been virtually no mainstream media coverage of either the success of GcMAF, its suppression or the death of all these practitioners. Why not? In my experience, lack of mainstream media coverage is a common sign of a larger hidden and suppressive agenda. Maybe the mainstream media reporters are simply unaware of what’s going on? I’m sorry to say this is not the case. Erin Elizabeth, the primary health blogger tying these deaths together repeatedly and specifically appealed to Time magazine to interview her and to investigate and cover these stories. Time had been sniffing around for an interview on the holistic doctor deaths. Family members told Erin and she wrote Time saying they were in mourning, but that she could do an interview, as she had been covering the story for months. They received her request, but would not respond to her communications. In THRIVE, we covered the suppression of treatments and cures developed by Royal Rife, Rene Caisse, Harry Hoxey, and Max Gerson. We unfortunately see the same pattern continuing, not only with these holistic practitioners, but with others in our Solutions Hub Network who are being harassed, threatened, covertly radiated with ELF waves and who have had attempts on their lives. Another potentially related horrific event was the “Aquarust” amphetamine poisoning of 29 alternative medicine practitioners at a health conference in September near Hamburg, Germany. Fifteen ambulances took the afflicted to nearby hospitals. None died. I don’t have the definitive proof that all of the doctors who’ve died suspiciously were murdered in an organized plot. But I have no doubts, after decades of research, that there are those who would protect their profits and control “at any cost”. One of my personal goals is to help expose these sociopathic criminals and obsolete their agenda. I hope that this summary will help shine the light on the numerous tragic suppressions of the brilliant innovators trying to bring vibrant health, safe and cheap energy, whole foods and clean water to the world. Part of how we can help them is to take their stories and concerns seriously. Spread the word. Education is the foundation of any effective action. Dare to bring up these challenging topics. Be sensitive to timing and setting. Use questions that join participants in a quest for truth rather than trying to force information and perspective on those who are not yet exposed to this sad reality, or who are not ready to consider it. Use alternative media, but also use any leverage with more mainstream outlets to get them to at least raise questions about these incidents of suppression and to put an investigative reporter on them. You can also donate to the Indigenous Health Care Practitioners Organization (IHCPO), a Native American group that certifies over 200 practitioners under native sovereignty to practice alternatively without limitation by the FDA and AMA. The truth will have its day, and health will have its way. 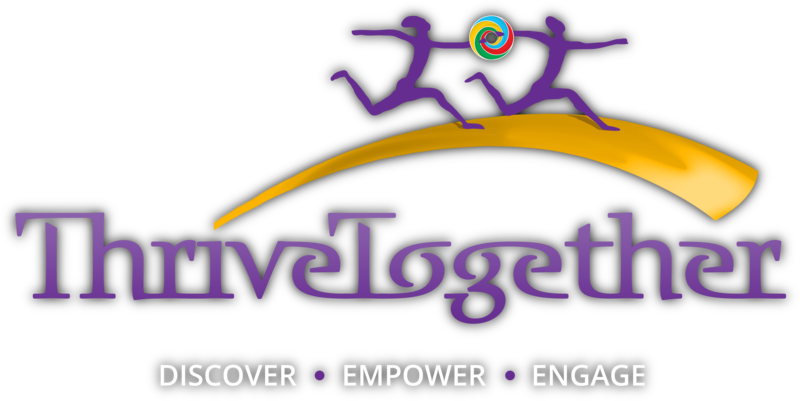 Watch highlights from a ThriveTogether event on February 13, 2016 discussing this subject with special guests Erin Elizabeth and Dr. Joseph Mercola.